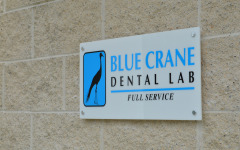 Since 1983, the members of Blue Crane Dental have been providing high quality dental lab services all over the world. From South Africa, to Germany, to the United States, Blue Crane has worked with some of the brightest dental professionals in the world, and gained a well rounded combination of the most effective techniques from an International community of Dental Technicians and Dentists. Blue Crane Dental Lab follows the Pankey / Dawson Philosophy and has a complete understanding of Interdisciplinary Case Planning techniques. The bottom line? Blue Crane Dental has the experience to provide the absolute best solution for your needs and we back our dental products with integrity and old-fashioned customer service. attention to detail, and the desire and ability to maintain a high level of accuracy in our work every day means we will keep the promises we make to our customers. Every team member’s commitment to eliminating inaccuracy in his/her work will pay off in quality and satisfied customers. is essential in the day to day operations of our company. We have not achieved the growth and success of the past without honesty, ethics, respect and professionalism; we do not intend to continue this growth without them. means we come to work and enjoy doing so. We have pride in what we do and have a good time doing it. We make smiles for a living, and we look for smiles as we pass and talk with one another all day long. allows us to work together toward the same goal as an organization. Being a part of a growing company helps insure security and stability. Wanting to do it together and actually acting as a member of the team will help us realize continued success. Klaus Ockert’s passion and enthusiasm for the Dental Industry motivated him to start his own Dental Lab in 1990. He strives to deliver top quality work, ensure ultimate client satisfaction and his belief in personal contact between himself and the Dentist is what made his vision a success.